He’s the 2017 runner up AL MVP. The all-time leader in home runs for a rookie season. The face of the Yankees, and the newest face of baseball. Ladies and gentleman, he’s Aaron Judge, the man who shook the baseball world in 2017. After his disappointing major league debut in 2016, Judge beat out Aaron Hicks for the starting right field role to begin the 2017 season. The rest, as they say, is history. 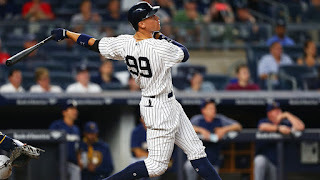 Judge went on to post one of, if not the best rookie season in history and he will enter his second full season batting towards the top of a lineup that as includes the 2017 National League MVP in Giancarlo Stanton, fellow young stars Gary Sanchez and Didi Gregorius, and others who could provide him with even more protection than he received last season. Let the excitement begin. As said before, Judge’s 2017 season may have been the best season by a rookie in major league history. 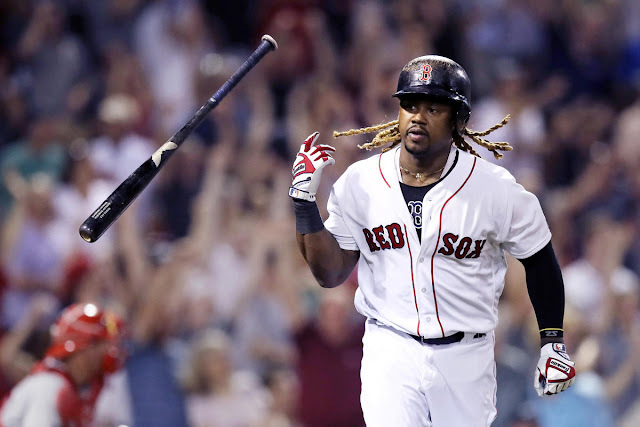 His overall batting line of .284/.422/.627 (173 wRC+), 52 homers, 114 RBI, 128 runs, 127 walks, (18.7% walk rate), and nine stolen bases was incredibly impressive, and he managed to accomplish this even though he was well below average in August (.185/.353/.326, three homers, 35.3% strikeout rate, 90 wRC+). 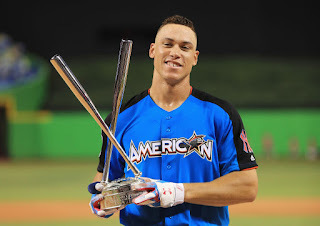 His victory in the Home Run Derby was just as impressive, even if it may have caused his shoulder injury in the season's second half, and he managed to break numerous franchise and MLB records as well. The MLB record for homers by a rookie (52) and walks by a rookie (127) belong to him, but so does the record for strikeouts by a rookie (208). 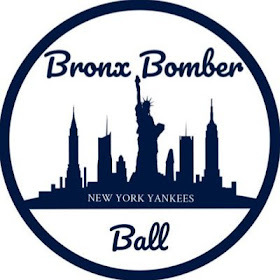 He also broke the Yankees’ franchise record of home runs by a rookie, which was previously held by Joe DiMaggio with 29, as well as the Yankees’ franchise record for home runs hit at home with 33, previously held by Babe Ruth. To go along with these accolades, Judge was the first Yankee to hit 50 homers since Alex Rodriguez in 2007. 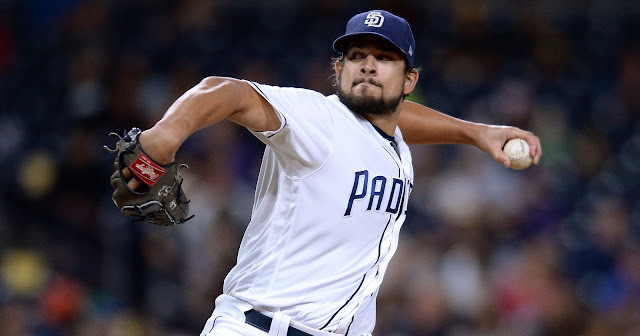 Yes, he did have his fair share of strikeouts, and was the only player in baseball to reach the 200 strikeout mark in 2017, but those will happen when you are six feet, seven inches tall. Overall though, watching Judge throughout the 2017 was a joy, and he was the MVP runner-up for a reason. Trying to predict how the 2018 season will go for Judge is very difficult. Obviously, it’s a stretch to expect him to have another 50 home run season, but it also would not be much of a surprise. Baseball Reference projects him to put up a .272/.395/.570 batting line, with 37 homers, 86 RBIs, 89 walks, and 161 strikeouts. Personally, I think this could be pretty accurate, but with the presence of Giancarlo Stanton behind him in the lineup, his numbers could be much higher than this projection. Judge’s incredibly good eye allows him to reach base often via the walk, but with the reigning NL MVP lurking on deck, pitchers may be inclined to throw more strikes in the hopes of retiring Judge so that he isn’t on base for Stanton. He should also be much more rested this season, with Yankee manager Aaron Boone saying that Judge and Stanton will both get their fair share of time DH-ing. Even factoring in some regression, expect Judge to continue his reign as one of the rising stars of MLB.